Fintech Zombie lift. That just about sums it up. No reasons other than the KFTX rose slightly in sympathy with the overall market. 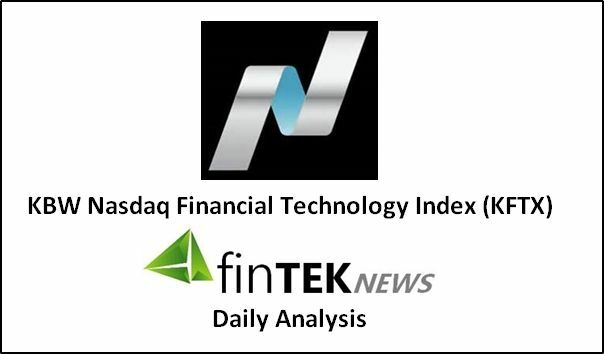 Which means, the NASDAQ fintech index hobbled up 4.89 points (0.46%) to finish at 1070.13. Snooze. Lets glance at the list of stocks in the index that moved around a plus or minus 3% today as well as any of them that had the strength to change 2 or more points. Betting on very short list. No, it’s not a joke and, by the way, neither is Lending Club (promise, it’s a real company). Only one stock on the list which is an all time first. Breadth was “zombie” bullish (tiny blah moves) with 36 stocks up, 10 down and 3 unchanged. Rest of the week will probably look just like today. Keep you pillows close and you slipper on.